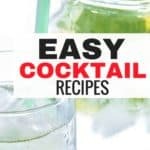 Are you looking for ideas for keto pumpkin spice recipes for the cooler months? We’ve compiled a list of 8 easy low carb pumpkin spice recipes that you will really enjoy this season. 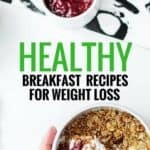 Who doesn’t want to lose weight, while enjoying tasty keto lattes, desserts, cookies, donuts, fat bombs and more! This is pumpkin, unsweetened coconut flakes and nuts all combined with pumpkin pie spice in this deliciously healthy Sugar-Free Pumpkin Pie Granola Recipe! It’s perfect on its own as a snack, but even better sprinkled over yogurt! That is where these Pumpkin Spice Fat Bombs come in. Like a bit of pumpkin pie but without the sugar and carbs. This easy pumpkin fudge recipe is sugar free and paleo diet friendly. There’s no need to feel guilty indulging in this yummy low carb treat! This yummy coconut flour keto pumpkin mug cake that whips up in less than 2 minutes. Just mix the ingredients together in a small cup and microwave! This is a quick to make low carb pumpkin mousse. Serve this sugar free mousse as is or add it to a pie crust to make a tasty no bake pie. Looking for a delicious pumpkin flavored keto treat? This keto mug cake is worth a try. 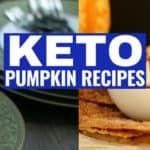 These keto pumpkin spice recipes are all very tasty and will give you something to look forward to during pumpkin season. With htese, you definitely don’t have to feel deprived because you’re doing keto!